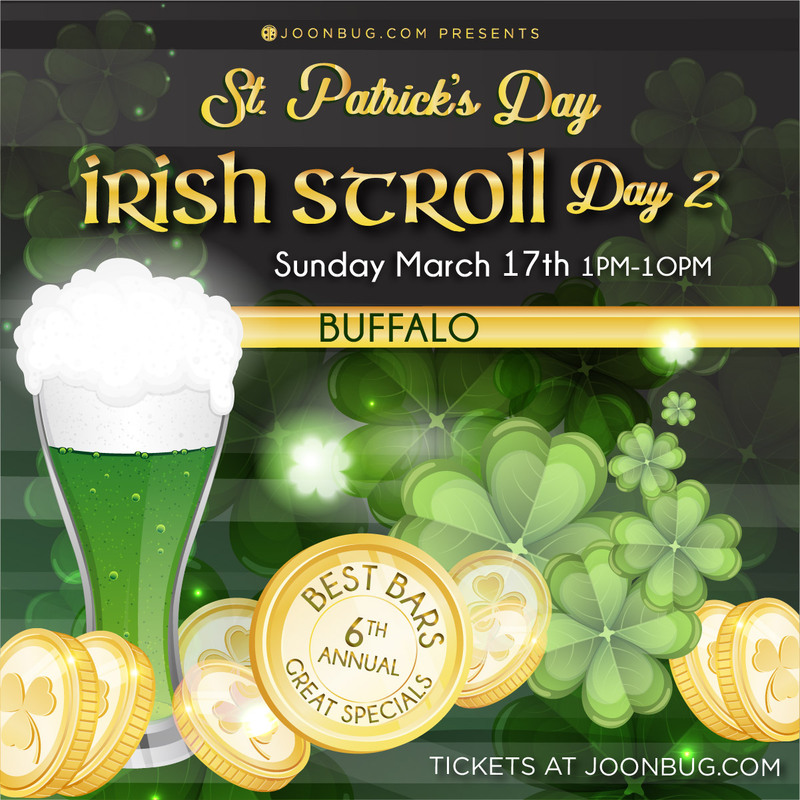 This St. Patrick’s Day your favorite bar crawl, the Irish Stroll, is taking over Buffalo. Find your gold in a wristband that gets you in to your favorite bars and taverns with no cover-charge. This is the second bar crawl in a weekend full of high-octane St. Patty’s events. Throw on your green, gather your cohort, and prepare to take advantage of exclusive drink specials at every location. There’s a whole new wave of Irish pride taking over Buffalo this St. Patrick’s day – don’t miss out!